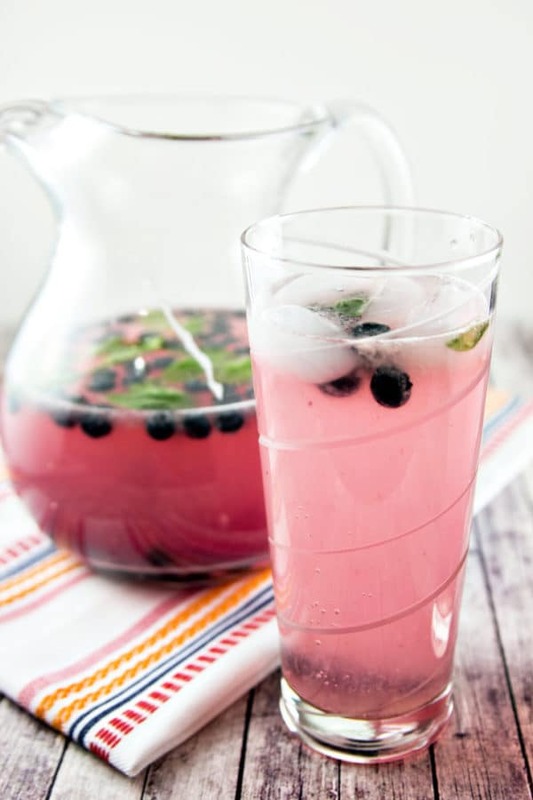 Celebrate the best parts of summer with sparkling fresh squeezed blueberry basil lemonade – a generous splash of bourbon optional. A few weeks ago, we invited over friends from my husband’s former residency class. We wanted one final gathering before everyone heads their separate ways post-fellowship training. It’s always bittersweet when you are splitting ways with people whose company you enjoy. But as the saying goes, everyone is on to bigger and better things! Regardless of weather, I almost always choose to grill when I’m having a little dinner party. Our rowhome-style kitchen is long and skinny. If people are seated around our dining room table, I can’t open the oven door (or the dishwasher, or any of the bottom cabinets, or the silverware drawer…) without asking people to vacate their seats. So outdoor grilling is my dinner party go-to. What beverage pairs better with grilling than fresh squeezed lemonade? Most “lemonade” I encounter seem to be either from a powdered mix or a carbonated soda. I forgot just how delicious real, fresh lemonade actually is. 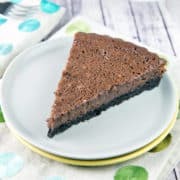 The blueberries and basil flavors were a little muted the first day when I served this (still delicious, though! ), but by days two and three, they really stole the show. 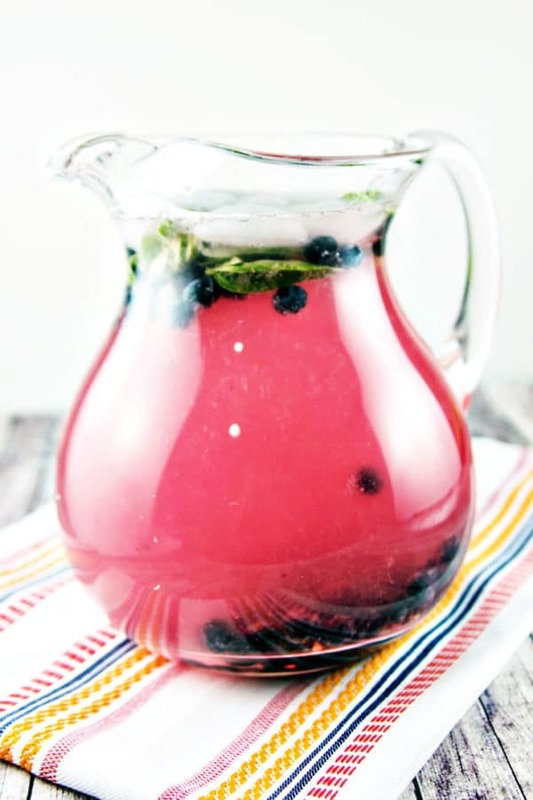 The next time I made this, I prepared it the night before, letting the blueberry and basil marinate in the lemonade. 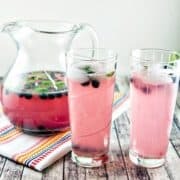 The flavors came through beautifully, and the resulting blueberry basil lemonade is this beautiful shade of purplish-pink, thanks to the blueberries. While this lemonade was tasty on its own, dare I suggest that you serve it with a generous splash of bourbon? My only regret is that I was on antibiotics for strep throat. My husband limited me to just one alcoholic beverage for the evening. I’m glad I made it count with some bourbon blueberry basil lemonade. I couldn’t resist sharing this last photo. Much of my photography happens on the floor of my kitchen, since it’s the only spot in the house that actually gets sunlight. Serious rowhome problems when you only have windows facing two directions. 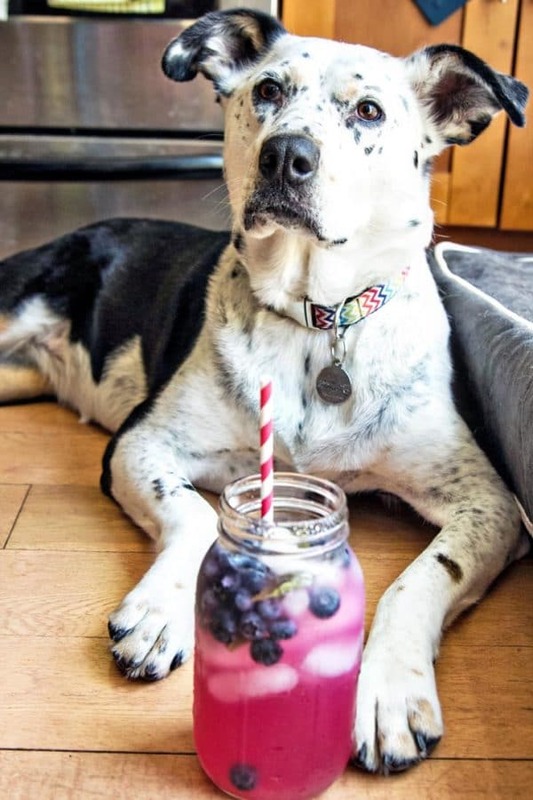 It’s always a challenge trying to take pictures of things before our dog shows up and tries to eat it all, but today, she just settled down on the floor and tucked her paws around the glass of blueberry basil lemonade. It’s like she was ready to relax with the weekend and was waiting for me to pour in an extra splash of bourbon. 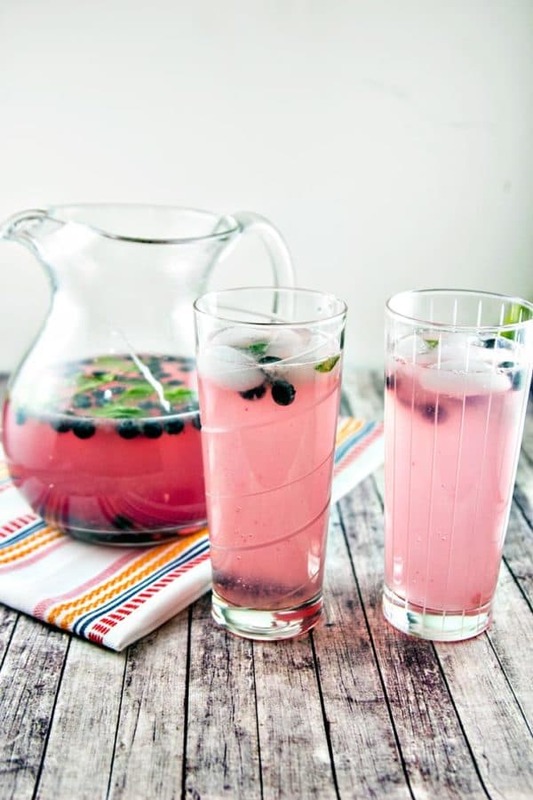 Celebrate summer with fresh squeezed blueberry basil lemonade – a generous splash of bourbon optional. Begin by making a simple syrup, combining the sugar and 1 cup of the water in a small saucepan. 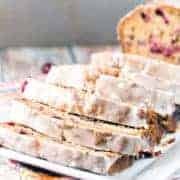 Bring to a gentle simmer over low heat, just until the sugar is completely dissolved. Remove from the heat to cool. Roll the lemons back and forth over the counter, or microwave briefly, 10-15 seconds, to help release the juice. Cut each lemon in half and squeeze over a measuring cup, until you have 1 cup of lemon juice. Add in the 2 cups of blueberries and the basil leaves and stir. Use the back of a long wooden spoon to squeeze the blueberries against the side of the pitcher, breaking up some of the whole blueberries. 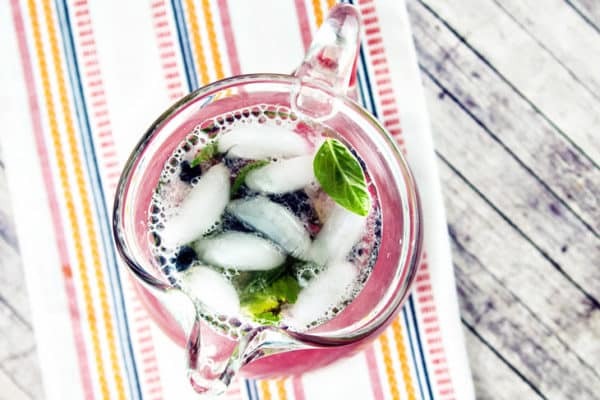 At this point, you can wait up to 24 hours before proceeding to the next step, allowing the blueberry and basil flavors to meld with the lemonade. Immediately before serving, add the liter of seltzer to the pitcher. Serve in a highball glass filled with ice and the liquor of your choosing. That seems amazing!!! I’m looking for after-ceremony drinks for my wedding and this is about right!!! And that color too!!! Well done!! This would be an AMAZING wedding drink – such a crowd pleaser. Congratulations!! Sorry I am from the UK, what is Seltzer? 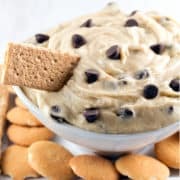 This looks fab!! Seltzer is just plain carbonated water — also called club soda here!